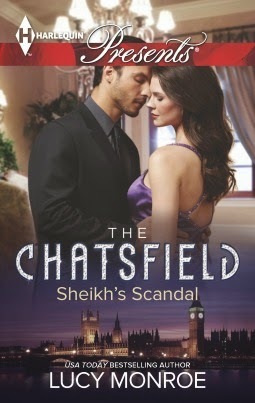 Harlequin, has launched The Chatsfield, a “first of its kind” digital series from Mills & Boon on 6th May. 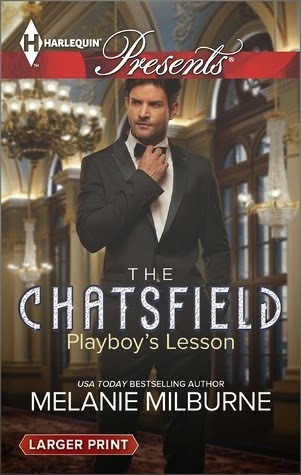 Set in the luxury hotel “The Chatsfield”, this digital series provides an extra journey for the reader to continue engaging with the characters of a book and series beyond what is just on the page, thereby extending the life of the story. 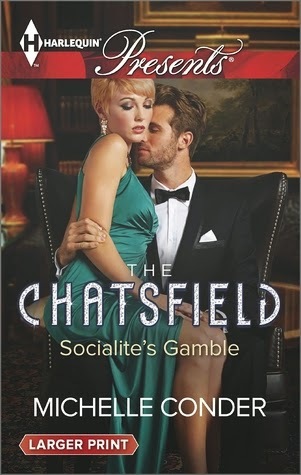 The Chatsfield is a digital journey that blends fiction and reality and comes across multiple mediums including print (The Chatsfield Presents books), video (YouTube), digital (blogs and the main Chatsfield website) and social (twitter, Facebook). Award-winning and bestselling author Lucy Monroe lives in the gorgeous Pacific Northwest, surrounded by a plethora of pets and children (her own, the neighbors, her sisters…). She finds inspiration for her stories everywhere as she is an avid people-watcher. So much so that she disconcerted her husband upon first meeting him when she watched the other dancers as much as she watched him. He thought she wasn't interested…silly man. She believes there is no stronger emotion than love; that it truly can overcome pain, past rejection and the challenge of finding happiness despite the hardest things life has to offer. She believes in the victorious conclusions found in today's romance. To her, the passionately sensual romance novel is a beautiful expression of the reality of love, packaged in a fantasy readers can enjoy. When she's not writing, Lucy likes to read—big surprise, that. She can't tell you the latest show going on television, but she loves romantic movies, action adventure and the theater. She adores her family, and is a smatterer when it comes to hobbies…a little of this, a little of that. Since selling her first book to the Harlequin Presents line in September of 2002, she has sold more than thirty books to three publishers and shows no signs of slowing down in the near future. Visit her web site to read about all of her books and see flash movies for select releases, including her Harlequin Presents title. She truly loves to hear from readers, and can be reached at lucymonroe@lucymonroe.com. It was while she was supposed to be studying for her final high school exams that Melanie Milburne read her first Mills & Boon novel. She was 17 and decided right then and there she would continue reading romance novels, and not only that, she would settle for no less than a tall dark handsome hero as her future husband. Well, she's not only still reading romance but writing it as well! And the tall dark handsome hero, you ask? She fell in love with him on the second date and was secretly engaged to him within six weeks. They moved to Scotland so he could work and study for his M.D. in surgery, and two sons later, arrived in Hobart, Tasmania—the jewel in the Australian crown. Once their boys were safely at school, Melanie went back to university and upgraded her teaching qualifications to a bachelor's and then master's degree. As part of her final assessment she conducted a tutorial in literary theory concentrating on the romance genre. She had the tutorial room decked out with hearts and champagne and roses and was standing at the front of the room reading a paragraph from the novel of a prominent Harlequin Mills & Boon author when the door suddenly burst open. The husband that she thought was safely tucked away in an operating theater doing what surgeons are supposed to do was actually standing there dressed in a tuxedo, his dark brown compelling gaze centered on her startled blue one. He strode purposefully across the room, hauled Melanie into his arms and kissed her deeply and passionately before setting her back down and leaving without a single word. The lecturer gave Melanie a High Distinction and her fellow students gave her jealous glares! You can see by now her pilgrimage into romance writing was more or less set! As well as writing full-time, Melanie is also a keen athlete. She enjoys long-distance running and is a nationally ranked top-10 master's swimmer in Australia, holding several individual state records. She learned to swim as an adult, so for anyone out there who thinks they can't do something—you can! Her motto is "Don't say I can't; say I CAN TRY." Melanie loves the pace and passion of the Harlequin Mills & Boon Presents series and hopes fans enjoy reading her stories as much as she loves writing them. After graduating from the University of Melbourne, Michelle Conder took a variety of jobs before packing her bags and traveling and working overseas. When none of the career opportunities she encountered grabbed her she returned to Australia, and after more study decided to follow her lifelong dream of becoming a writer. Michelle now lives in Melbourne with her husband and three children; when she isn't writing, she loves to visit faraway places and spend time with her family and friends.